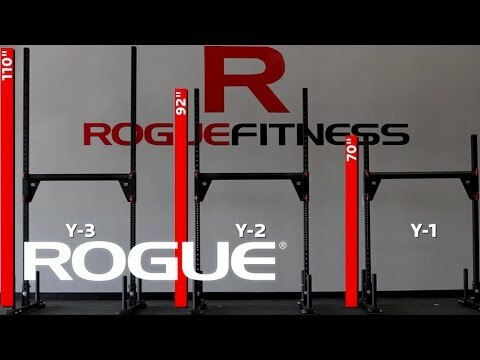 Y-2 Rogue Yoke is rated 4.9 out of 5 by 15. Rated 5 out of 5 by Ironblood18 from Awesome equipment I bought this Yoke about a month ago and can say it is a great piece of equipment and is of solid construction. Rated 5 out of 5 by AishaJ from Multi-functional I bought this a month ago and I love it! I use it as a rack and as a strongman tool. There are so many different uses that I never get bored. Rated 5 out of 5 by Leebert0 from Very Versatile! I have had the Y-2 for about 2 months now. I love it! You can do all the basic lifts and more with it. I bought the Spud cable pulley and attatch it to the top. I never have to leave the house to get a great barbell workout. Thanks for making such quality equipment!